How do you inspire young readers to tackle new challenges once they’ve mastered the basics? Just try Colour Young Puffin! Featuring fresh, funny read-alone adventures with all the excitement of picture books, these books will soon get gobbled up! 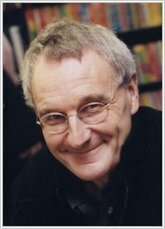 Who are your favourite children’s authors/poets/illustrators? Nick Sharratt, Michael Rosen, Louise Rennison, Lauren Child, Antoine de Saint-Exupery, Rudyard Kipling, A.A.Milne. What is the most unusual place you have read a book in? An air-raid shelter. This was when I was a child we had a concrete shelter in our garden left over from World War 2. My big bro and I were always in it. 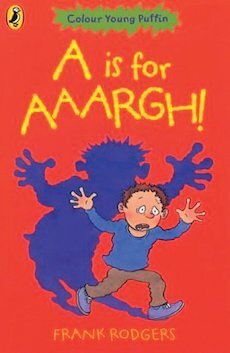 Why did you decide to write/illustrate children’s books? I’ve always loved children’s books. Also, when I began writing I was also teaching primary children. It seemed natural to write stories for them. If you weren’t a writer/illustrator, what else would you be? A grand prix racing driver, a brilliant artist, an amazing pianist, or a tiger. Any of those will do! What do you like best about being a writer/illustrator? Not being bossed by anyone and being able to earn my living by using my imagination. Money! No – but really – I think I was mostly influenced by comics like The Beano and writers like A.A Milne and Donald Bissett. What advice would you give to aspiring writers/illustrators? Don’t give up trying. It’s very difficult to get started in the world of publishing and you really have to keep at it. Don’t be disappointed if you get rejected – just try again…and again!